I used to run down to the local drug store during lunch in Jr. High to buy Mad magazine when a new issue came out! Brings back memories. I should get a name badge made up with NO CLUB on it. thought Mad was subversive and somehow risque. Me, I just thought it funny as hell. alfred e neuman is the man you speak of. I always liked the inside of the rear cover. Then there was "Cracked" and another of my favorites, CarToons. I conned mom into getting me a subscription to an 'artsy' magazine called 'Epic'...which had a LOT of risque stuff in it. Ok I got another one from the past, I used to draw them just for something to do. How many of you remember this? Rat Fink was advertised for the first time in the July 1963 issue of Car Craft. Rat Fink is one of the several hot-rod characters created by artist Ed "Big Daddy" Roth. Brings back memories of the old hot rod days. 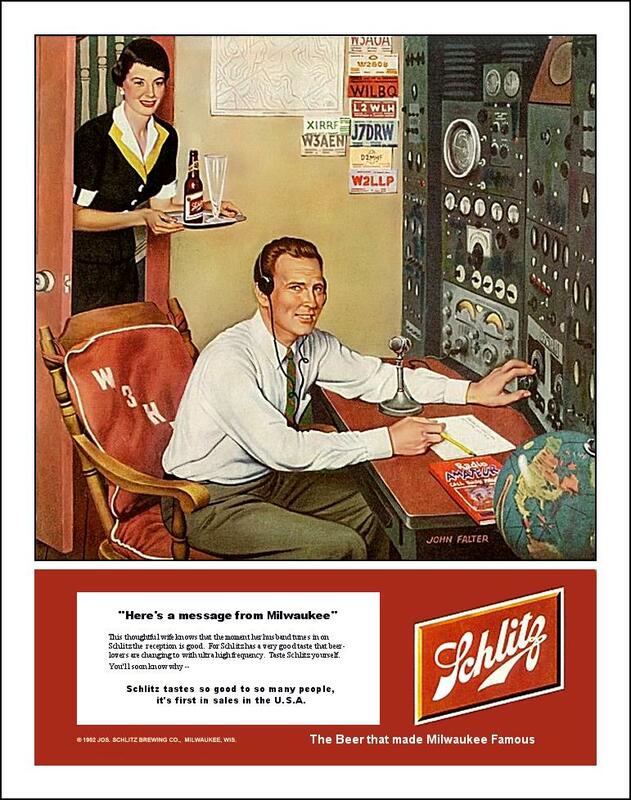 I like it except Schlitz tastes like old wet socks. That is my all time favorite ham picture. I have it hanging at my desk at work.